We live in the age of concealer. It is an inevitable step in anyone’s makeup routine and a staple in one’s makeup bag. It is versatile, enhances your best features or hides those dark eye circles. We see beauty gurus all the time applying copious amounts of concealer, and wonder, am I supposed to do that? Which type of concealer should I use for my skin? There are different types of concealer that you can try and figure out which one works best for your skin type! Each of these types of concealers works for different skin types or skin concerns. So, let’s delve deeper into each type of concealer. Liquid concealer is one of the most versatile types of concealer because it can offer either sheer- or full-coverage, depending on the exact formula. This type of concealer is fantastic for almost all skin types. People with dehydrated (or very dry) skin should stay away from liquid concealers as they can emphasize the dry patches and look flaky. However, normal and oily skin types can use it without issues. Liquid concealer is great for covering blemishes and dark circles because it will seamlessly blend into your skin and doesn’t emphasize fine lines and or creases as much as other types of concealer. There are three types of liquid concealer finish: matte, satin and radiant. A matte finish will last longer and reduce shine; it will stay put for longer. However, it is more likely to emphasize the dryness of the skin and maybe even cause dry patches. A satin finish concealer gives a more natural look or finish. If you are into a no-foundation look and want to correct small imperfections, a satin concealer is perfect for you. 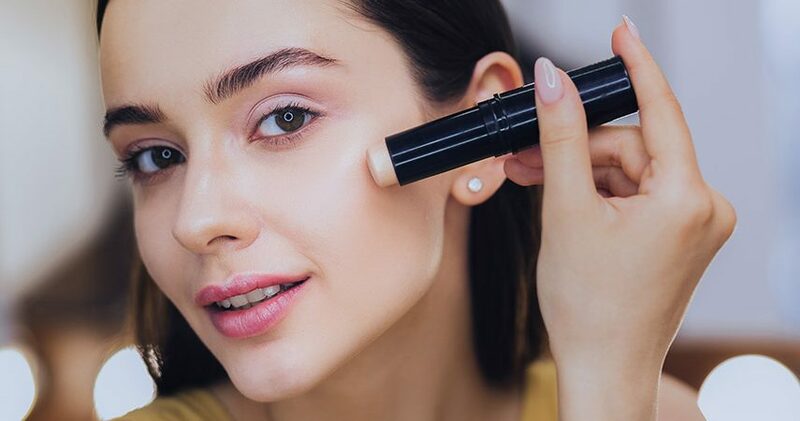 A radiant finish concealer is fantastic for under eyes because it can cover the dark circles, and highlight the area and provide a soft glow. If you go with a radiant liquid concealer, only use small amounts at a time and try not to overdo it. Cream concealers usually provide medium- to full-coverage and its texture is thicker than a liquid foundation. Cream concealers are perfect for dark under eye circles and covering discolorations. This type of concealer is best applied by stippling with your finger as the warmth of your hand will make the concealer easier to work with. However, it works fine with a beauty sponge or a concealer brush too. Balm concealers are thicker in texture and tend to stay where they are throughout the day, making this type of concealer perfect for people who have an oily skin type. Peach color concealers neutralize blue and purple shadows on medium skin tones. Orange/pink concealers neutralize dark spots on dark skin tones, pale pink conceals blue spots on fair skin. Yellow concealers cover purple or darker shadows on olive or tan skin. Lavender/purple concealers cancel out the yellowness. This type of concealer is fabulous for covering dark spots and blemishes, and touch-ups. 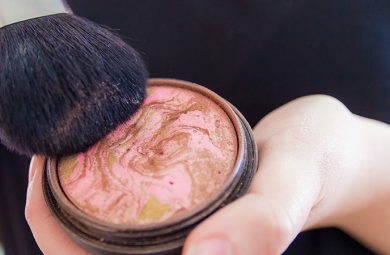 Stick concealers need to be blended a lot, so it is best to apply it with stippling motions with a finger, brush, or beauty sponge, feathering out the edges into the skin. 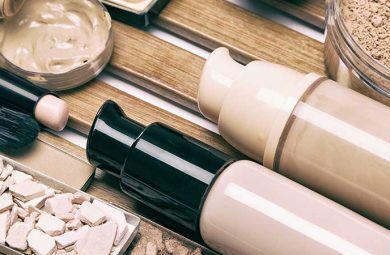 Even though they offer the fullest coverage out of all the concealer types, they tend to be quite heavy, so if you have sensitive or very oily skin, you might want to consider a different concealer type. 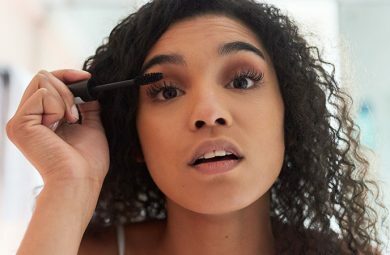 For example, if you have oily skin, definitely avoid stick concealers in the summertime, as the heat can make it move all over your face and completely melt. Sun protection is the most crucial step in your daily beauty routine, so why not choose a concealer with SPF? They are a bit rarer, so you may need to search for the perfect one for a while. SPF beauty products can help prevent discoloration from the sun, wrinkles, and more. Also, they tend to be more moisturizing too – making them an overall great concealer for all skin types! 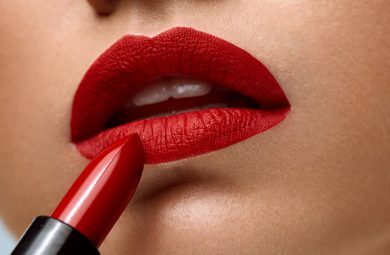 Always look your best with these great beauty tips and tricks. Do you have a lot of tips, tricks, reviews or beauty stories to share? We would love for you to become a beauty contributer on our website! Our readers loved these posts, you may love them too! How Does Waterproof Mascara Work? Goodbye Acne, Hello Clean Skin! Looking for makeup tips, skin care options, or more? Search our site and see if we can help you!